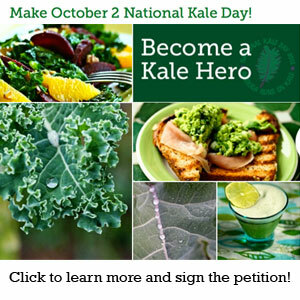 Grab Your 7 DAYS OF KALE Bonuses! 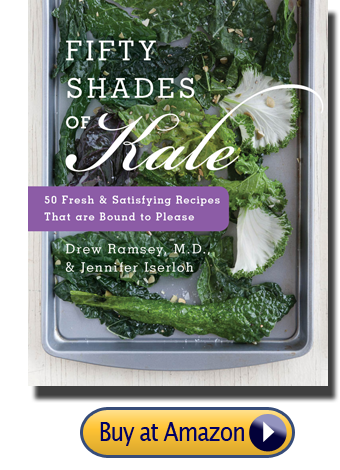 50 SHADES OF KALE by Dr. Drew Ramsey and veteran cookbook author Jennifer Iserloh is a colorful, delicious, and fun cookbook with 50 decadent recipes using Mother Nature’s top super food. Chock-full of meal plans and tips for optimal kale care and preparation, 50 SHADES OF KALE compellingly makes the case for why you need to include it in your culinary repertoire now. Whether you are vegan, gluten-free, or a knife carrying meat eater, Dr. Ramsey and Iserloh will turn you on to kale. Tongue-in-cheek introductions, gorgeous photos, and a simmering essay on kale’s health benefit, add a playful element as Dr. Drew exposes kale’s scientific side and health attributes and Jennifer highlights kale in some sinfully good recipes. From breakfast to cocktails, Kaleonnaise to Thai’d Up Roughage, readers learn fifty new pleasing ways to partner kale. Devour spicy Kalejitos, tasty Kale Chicken Enchiladas, and decadent Chocolate Kale Chip Cookies, without regret — every dish is less than 400 calories. Dr. Drew Ramsey, an assistant clinical professor of psychiatry at Columbia University, is one of psychiatry’s leading proponents of eating for brain health. Regularly providing expert opinion on psychiatry-related topics to the media, Dr. Ramsey co-authored THE HAPPINESS DIET: A Nutritional Prescription for a Sharp Brain, Balanced Mood, and Lean, Energized Body (Rodale, 2011), and his writing has appeared in The New York Times, The Huffington Post, The Wall Street Journal, The Atlantic, and Men’s Journal. Jennifer Iserloh is the author of SECRETS OF A SKINNY CHEF (Rodale, 2010). As a trained chef, author and health expert, she has created thousands of delicious recipes, articles, and blogs posts for TV, print and web publications including “The Today Show,” “Living Well With Montel,” Self, Prevention, InStyle, People, and Livestrong. Enter your name & email below, and we'll email you the book's bonus materials. If you prefer to buy the digital version, please note that you don't need a Kindle or iPad to read the book. 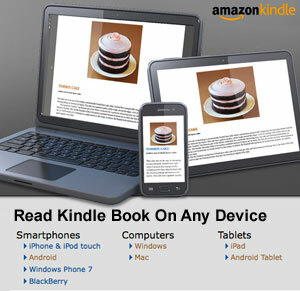 Click here and install one of Amazon's free Kindle Reading Apps, then purchase the book on Amazon.